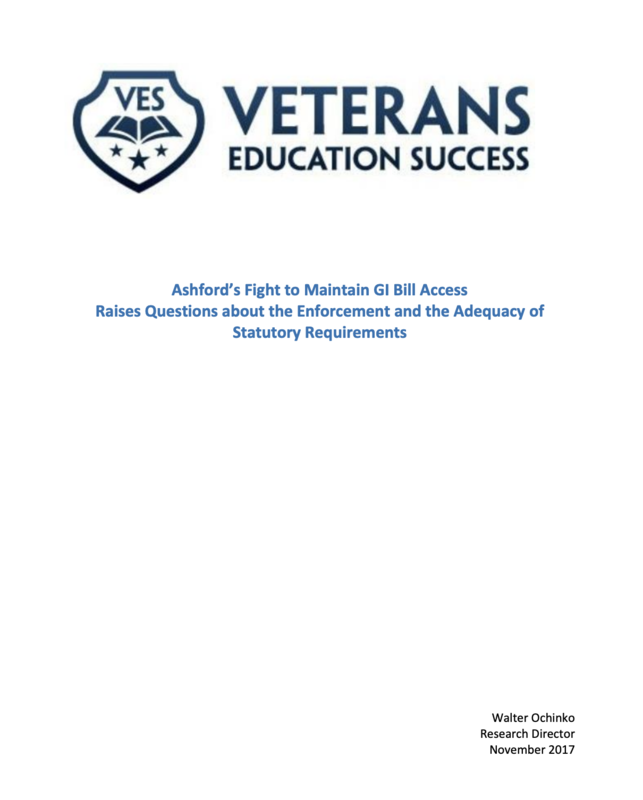 Ashford’s potential loss of its eligibility to enroll veterans using the GI Bill and its more than year-long effort to maintain that eligibility raises questions about the enforcement of statutory approval requirements by State Approving Agencies (SAAs) and the Department of Veterans Affairs (VA). The back and forth between Ashford and state and federal regulatory authorities also raises questions about the sufficiency of those requirements with respect to online programs. This report begins with a brief chronology of the key events involving Ashford, three SAAs, and the VA, with a more detailed chronology included in Appendix I.